Welcome! 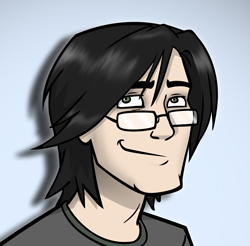 You have somehow found your way to MegaCynics, the newest webcomic-slash-blog on the Internets. Thanks for visiting. We hope you like it here. This is a site inspired in no small way by the greats of the genre: Cyanide and Happiness, Subnormailty, ThingPart (now sadly retired), and of course, Penny Arcade. But rather than just being a straight ripoff of those greats, this will be something a little different. Ash and I have our own story to tell, and we think you'll enjoy coming along for the ride. For a little more history on us, hit our About page. Ash and I are going to pump out two comics a week, on Wednesdays and Fridays, whether you like it or not. And we're going to keep doing that until we are forced to stop by the authorities. If you don't like this arrangement, then professionals have assured us that there is something wrong with you. We realize that an April 1 launch opens us up to the suspicion that this is all some kind of April Fool's day prank. To which we say... yep, good for you, you figured it out. We made 19 webcomics and a whole site just to prank you. Obviously, this is some kind of corporate shill, I mean look at all the banner ads and product placements. Wait a minute... where are the banner ads? Where did they go? OH MY GOD! WHAT HAPPENED TO THE BANNER ADS?!?! Wait a minute, we don't have banner ads. 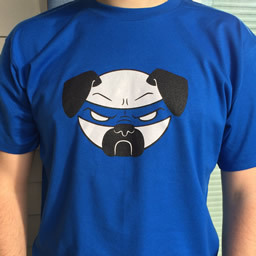 In fact we don't have any advertising, except a link to our store, and we sure as hell aren't getting rich from that. How can we run webcomic site without ads? Well maybe if you'd actually read the About page, you could figure that out. We have some cool stuff coming up. For example, a cross-country road trip involving a Portal Gun, Penny Arcade, and Valve. But we're not going to give the whole story away yet. You'll have to keep coming back here for updates. It's all part of our evil plan. And we'll be blogging the hell out of it here, probably with video and photos too, for your viewing pleasure. We also know people. People who, quite foolishly, will agree to appear on this site to be interviewed. Shhh, don't tell them it's a terrible idea. That's what will make it fun. It will be our little secret. So again, thanks for visiting. We hope you make this a place you drop by a few times a week, have a little laugh, refer to all your friends, and then get on with your damn work, you slacker. You are really behind, and everybody knows it. You're not fooling anyone. So take a moment to bookmark this page, or use one of the nifty social media links below this post to share it with your friends. 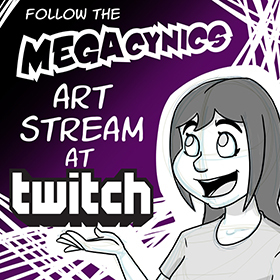 Then, if you haven't already, be sure to start reading our MegaCynics Comic. This comic is a tribute to one of the best games ever made: BioShock. Which was the spiritual successor to one of the best games ever made: System Shock 2. Inspired by the upcoming release of BioShock Infinite, Ash and I decided to do a few BioShock tribute comics. This is the first of them. We hope you like it. 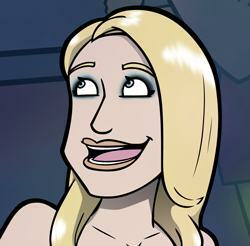 Today's new comic is a tribute to one of the best games ever made: BioShock. Which was the spiritual successor to one of the best games ever made: System Shock 2. Inspired by the upcoming release of BioShock Infinite, Ash and I decided to do a few BioShock tribute comics. This is the first of them. We hope you like it.